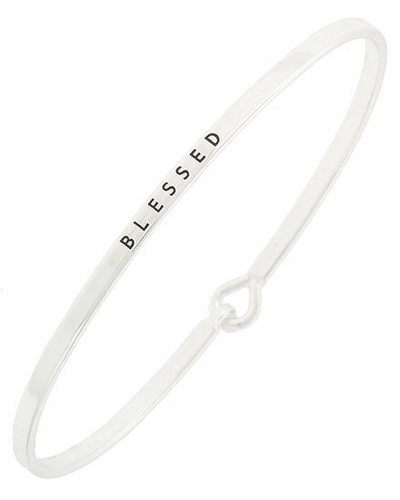 This classic beautiful BLESSED bracelet features a high polished finish in silver tone. Small hook holds it together. Works great with other bangles or stretch bracelets.